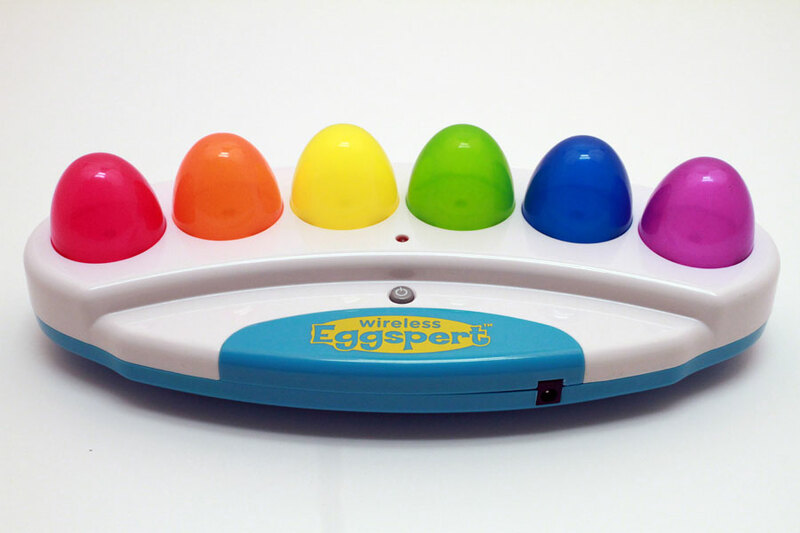 Just like the original Eggspert, but without the space and proximity limitations! 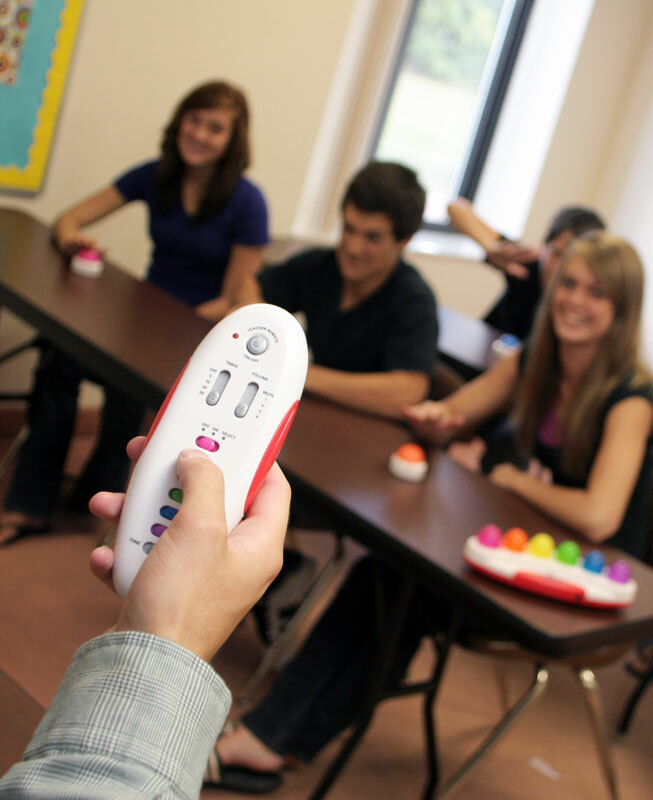 Six students or teams compete in a Jeopardy!-like format with egg- shaped answer buttons that send wireless signals back to the center unit, lighting up their colored egg if they were the first to answer. Eggspert can also be switched from the open-floor Jeopardy! format to randomizer, where all eggs flash quickly, then slower and slower until one egg is left lit. 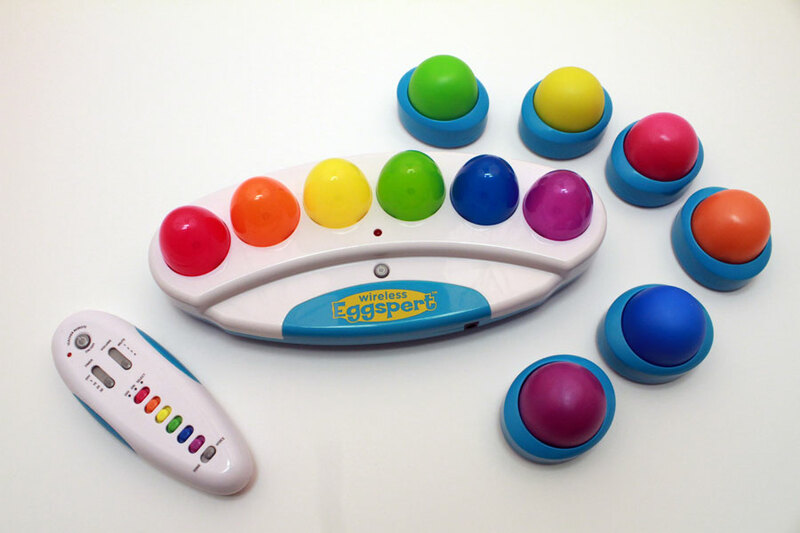 Includes central unit with six color egg lights and six corresponding wireless colored egg controllers. Middle school/high school. 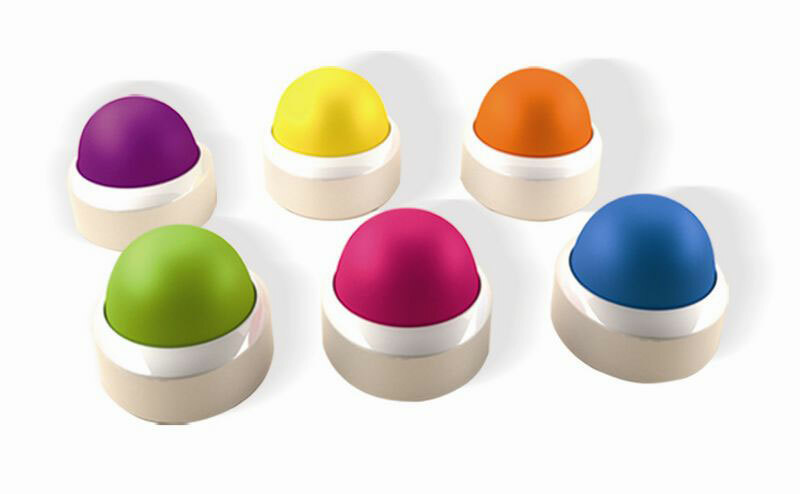 An extra set of 6 color egg-shaped answer buttons that send wireless signals back to the center unit is also available separately. Middle school/high school. 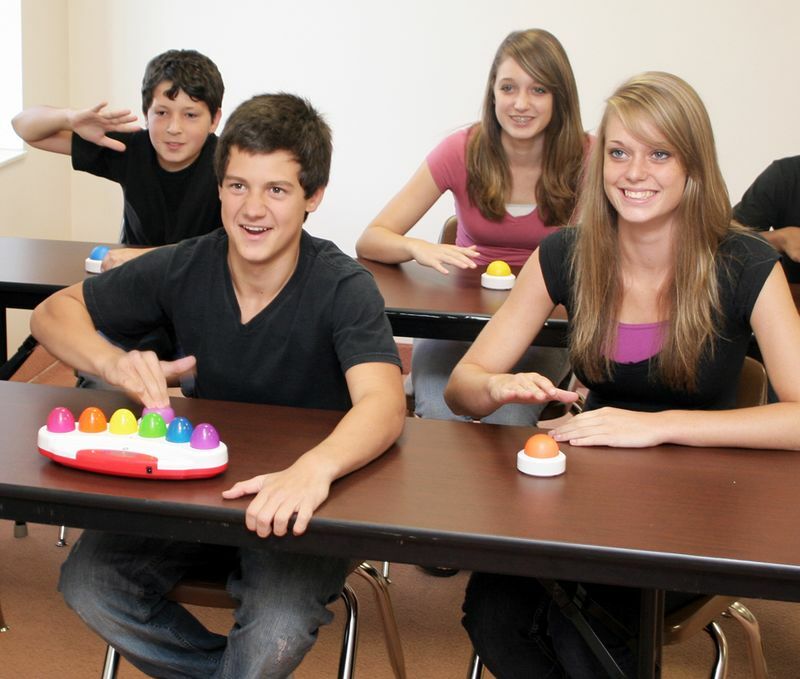 Students love to use the device and works great for answering review questions.The wireless eggs break too easily. After 2 periods of use two different times the button has broken the circuit board on one of the eggs.Response from Teacher's Discovery: If you should EVER have a problem or are dissatisfied with any of our products, we will gladly send a replacement or provide a full refund; no questions asked! We stand behind our 100% satisfaction guarantee!